PEPL is ISO 9001:2000 and ISO 14001:2004 certified company with the complete technical company to check raw material, Online Production and Finished Goods. 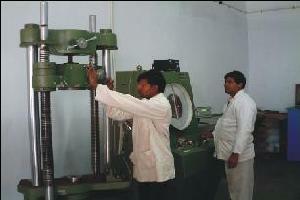 Our quality Assurance Department personally check the finished goods as per relevant specification. We give high priority for quality fabrication and we have a comprehensive quality assurance plan [QAP] taking care at different stages of inspection. Paruthi Engineers is committed to serve and satisfy its customer’s requirements and always strive to exceed its customer’s expectations while being fully committed to continual improvement and to provide the highest quality goods and services “first time every time’. We shall honor our all commitments timely, efficiently & effectively. 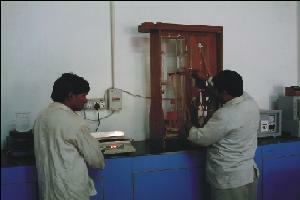 PEPL has ultramodern lab for testing all incoming, outgoing & in process material. We have complete equipments to carry out Galvanizing tests, physical & chemical properties of steel, including UTM machine, Rockwell hardness tester, micrometer, vernier caliper, carbon apparatus, hygrometer, alcoholmeter as per all relevant IS and International codes.